Last week saw the launch of MUA Charlotte Tilbury’s ‘House of Rock N Kohl’ make-up range for Selfridges. A week long beauty festival, two tons of make-up and everyone who’s anyone in the beauty industry came together to celebrate the launch. I was a little slow off the mark (as usual) to actually pick up any of the beautiful Rock N Kohl make-up, however I did manage to get my hands on one of the limited edition Charlotte Tilbury Kissing make-up bags for Kids Company. 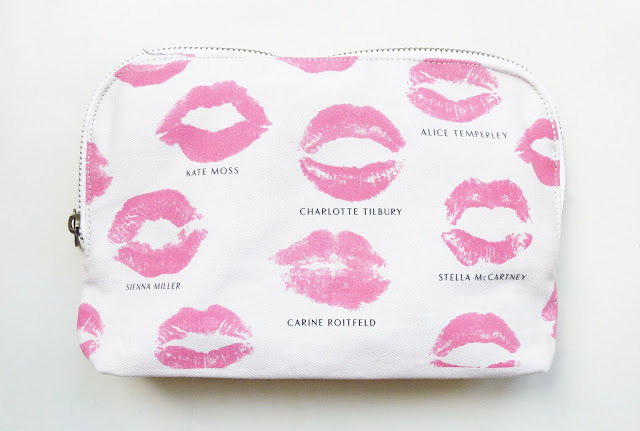 It’s a beautiful canvas make-up bag created by Charlotte with one side showcasing the industries’ most famous pouts, and the other reading ‘Every woman deserves a man to ruin her lipstick not her mascara.’ I’ve completely fallen in love with it and have promised myself that I will keep it clean! I love this makeup bag! I'm trying to curb my spending but this is really tempting me! I love the bag, that quote is perfect for a make up bag! Omg, that makeup blog is BEAUTIFUL! And it looks like it could a lot of things! 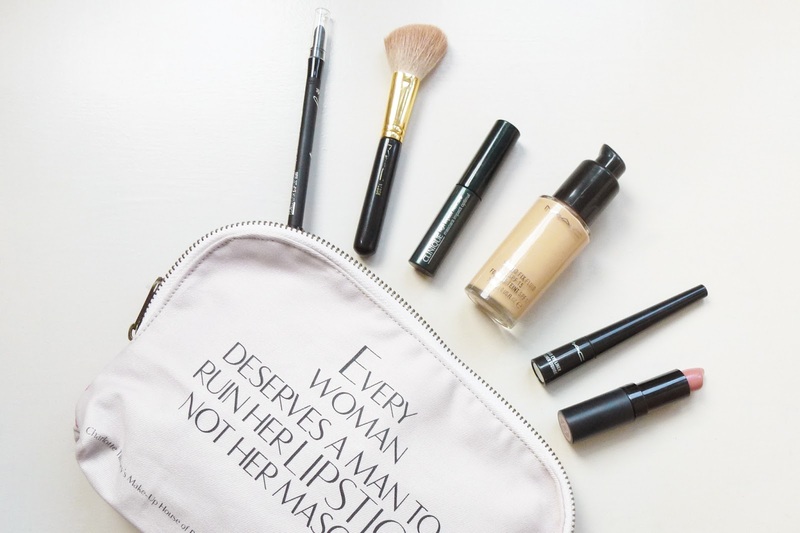 Haha, I love what that makeup bag reads! So pretty!